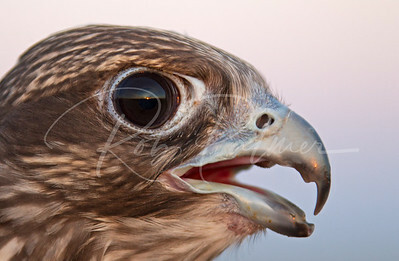 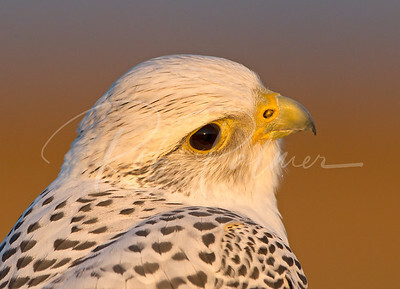 Grey Gyrfalcon with the Sun Setting in his eyes. 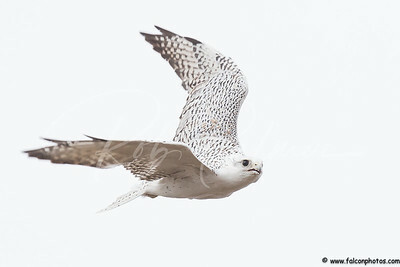 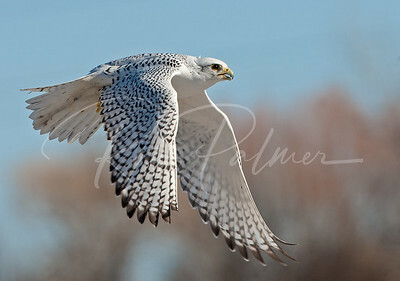 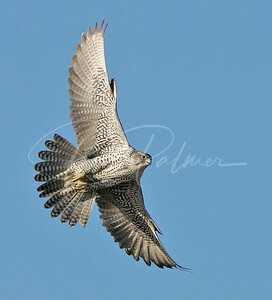 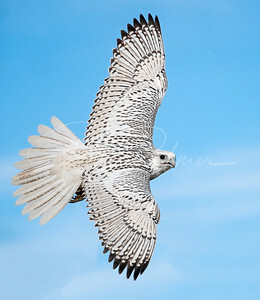 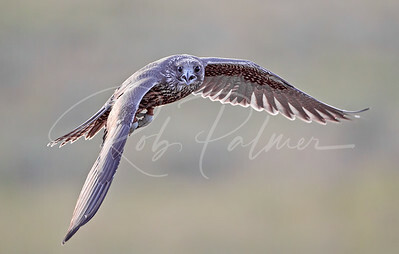 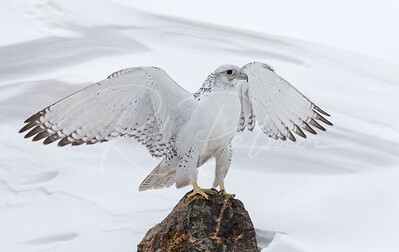 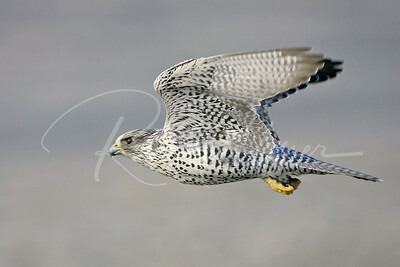 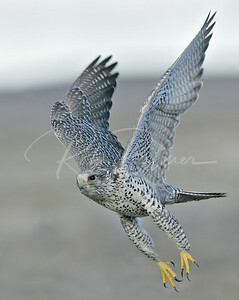 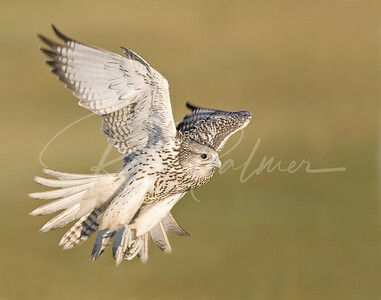 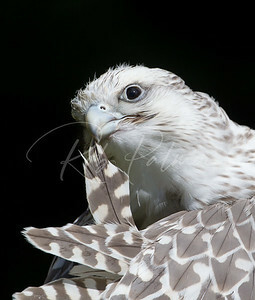 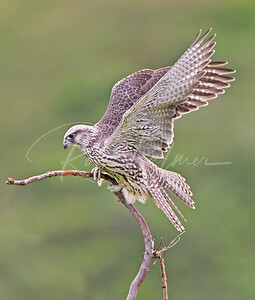 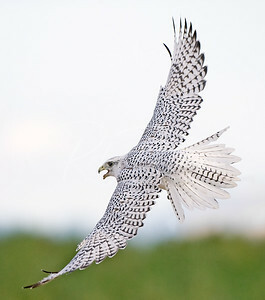 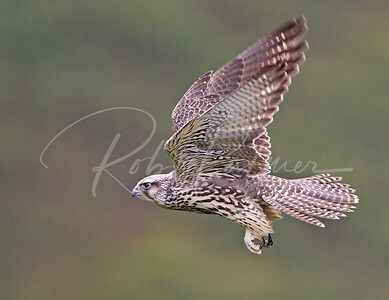 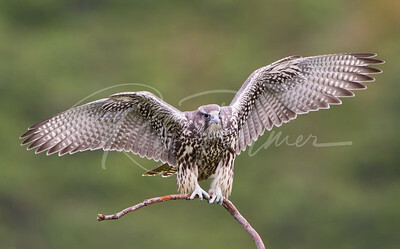 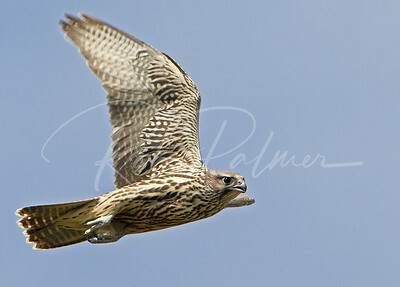 A young silver gyrfalcon in flight. 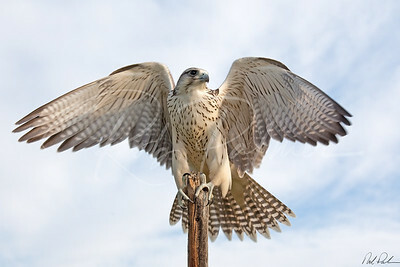 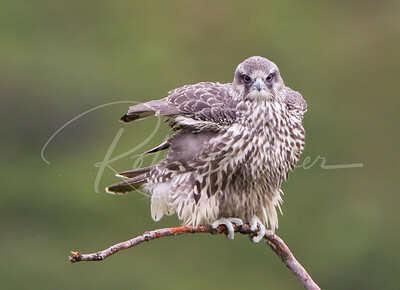 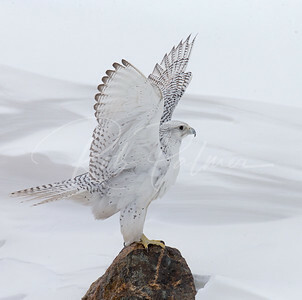 A young gyrfalcon trying to balance on its perch. 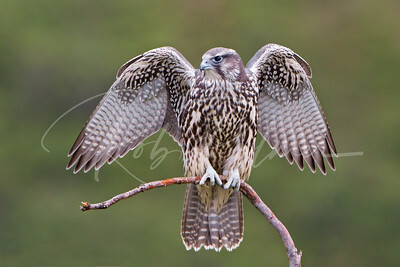 A young Grey Gyrfalcon on a very small perch considering this is a big female. 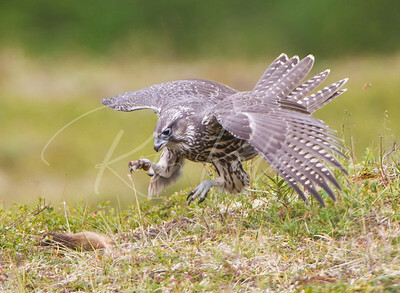 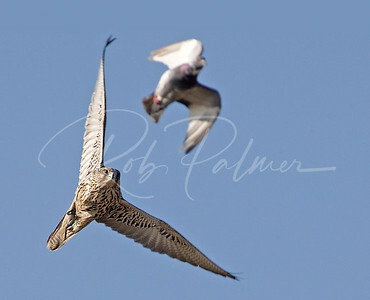 A young gyrfalcon attacking an "already dead" ground squirrel.